Services offered at Check Cashing of Raleigh? Check Cashing of Raleigh offers quick, convenient and personal solutions for people needing access to their personal finances. Raleigh Check Cashing serve people of all income levels, every day, all across the Triangle Area. In recent years Raleigh Check cashing have evolved in both name and function. 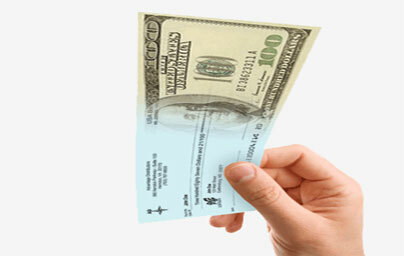 In addition to offering the basic service of Check Cashing. Check Cashing of Raleigh, as Financial center, reflect the diverse types of services they offer to their customers. What type of checks does Check Cashing of Raleigh cash? Checks payable to your business. How to cash a check in Raleigh? What other services does Check Cashing of Raleigh offer? Home Phones (Budget Phone Authorized Dealer). Why use Check Cashing of Raleigh? institutions. Some of these advantages include. No holds on your checks. Who visits Raleigh Check Cashing stores?